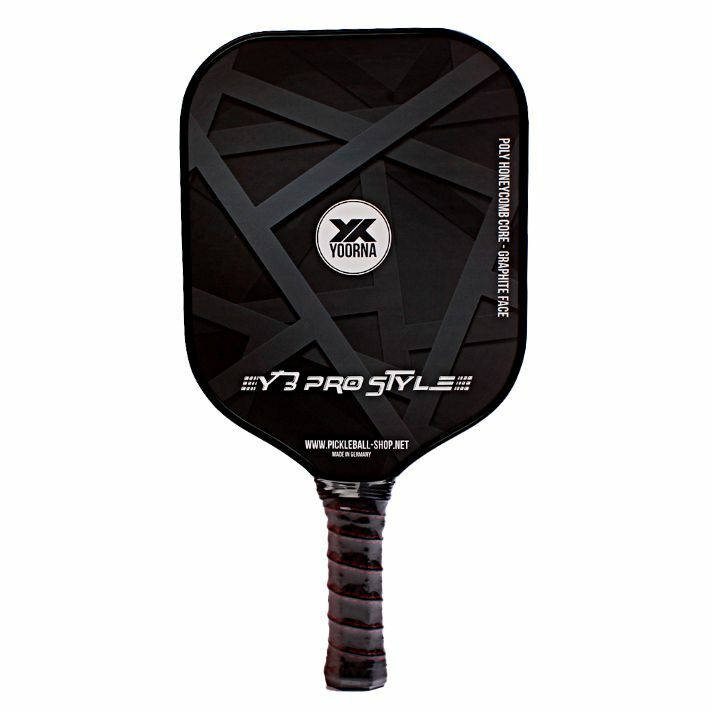 The YOORNA Y3 Prostyle is an extraclass pickleball paddle consisting of a POLYCORE honeycomb core with a 3K carbon / graphite coating. 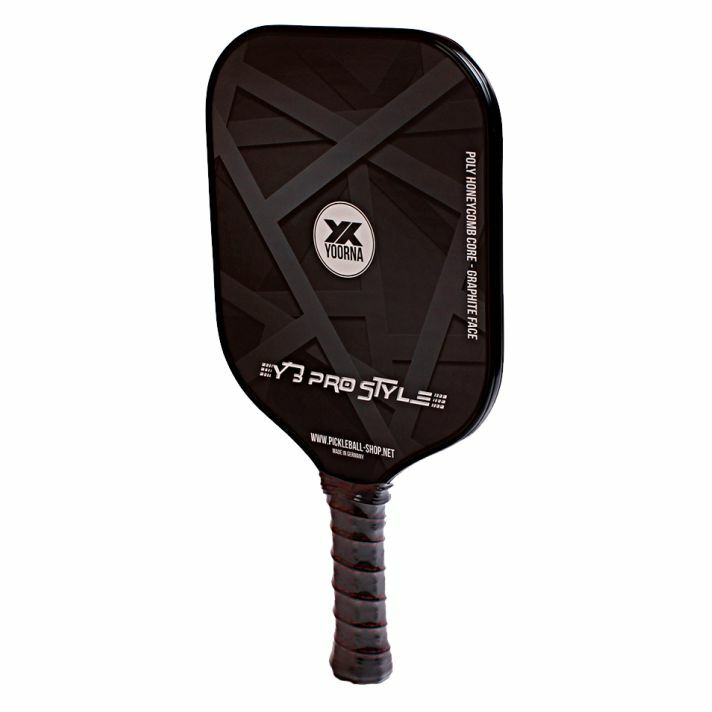 This composition of high quality materials make this paddle a play device that meets the highest standards. The YOORNA bat makes the strokes easily enough for balls to the base line without neglecting the control. To dink balls behind the net do just as easily as the return to the baseline. Handle circumference: 11.5 cm - 4 1/2 "
Grip length: 13 cm - 5 1/4 "